The scars of war run deep. Nurse Jessica Ross returns to her hometown to find that not only has it become home to a camp of displaced Germans, but that one of them is her grandfather's assistant. Scarred from what she saw and experienced alongside her brother, David, Jessica is bitter against the people that took so much from her. But when her widowed childhood friend dies in child birth, leaving her children Faith and Jude in Jessica's care, she wonders if she will be able to step up to the demands of motherhood. August Reinhold has fallen in love with Jessica Ross through the letters that she has faithfully sent home to her grandparents. He admires her strength and compassion. He knows that despite her coldness towards him and his German heritage, she is the still the same woman from the letters on the inside, and he is determined to win her heart. The third book the series, but don't let that stop you, it stands well on its own. I liked that it told the story of coming home from the front from a woman's perspective, as Jessica deals with coming home and finding that home is not how she left it. I loved seeing her grow in her faith, and as person in love and grace as she becomes a mother to Jude and Faith. People are not all as they seem, and there is a trouble maker framing the displaced Germans, making the townsfolk uneasy that a plot may be afoot. And Jessica finds two men vying for her attentions. I also loved August's sister, Anna and her daughter Sylvie. Anna is a strong woman, who despite everything is full of hope, and strong sensibility. Cliff is Jessica's cousin, who is like a brother to her. He is kind, and open-hearted. I liked August's determination and faith, he is an honorable man to the core of his being and he is passionate about what he sets his mind to. He quickly befriends Jessica's new children, but time is quickly running as his time at the camp is drawing to an end. A well written and characterized read. 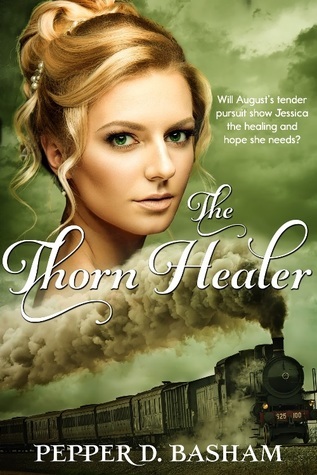 I loved Jessica and her journey of faith and forgiveness, as she finds herself in a very different position from the one she was in a few months ago, facing the remnants of the battles fought over seas at home. She is a strong woman, who doesn't always like change but finds ways to adjust. There is mystery and suspense as she and August try to prove who is behind the attacks against the Germans. I also really liked the story between Cliff and Anna, as well as getting to see Catherine and David and their young daughter again. A fast paced and engaging romance, filled with tension and faith. 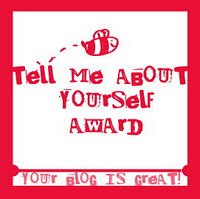 I am a homeschool graduate, dental assistant, retail associate, and late night reader. Life is crazy but I enjoy every minute of it! 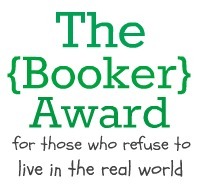 Lucie is Faith's mom, and reviews books that catch her eye that are sitting on her daughter's bookshelf. She is a big fan of pretty much anything western, with mystery and a good love story. 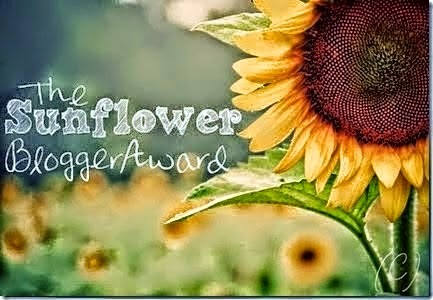 Sunflower Award from Amber S.
My Blog Award from Kara! 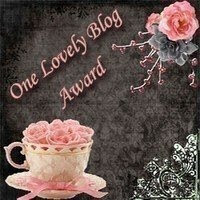 My blog award from Amber S.
My Blog Award from Abbi! 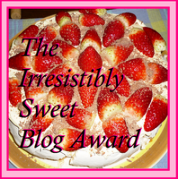 My Blog Award from Rosie!